Clients now have the option to book their favorite surgeons at Samitivej Srinakrin in Bangkok, Thailand. 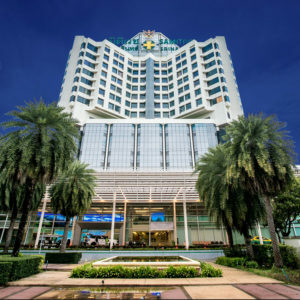 Samitivej Srinakarin is part of the Samitivej Network under the umbrella of Bangkok Dusit Medical Services (BDMS). A formidable presence in Thailand’s healthcare, BDMS is the largest medical group in Thailand with 34 of the top hospitals across Thailand and Cambodia. The best thing about Samitivej Srinakarin is it’s proximity to Suvarnabhumi Airport. Just a stone throw away from the expressway between Bangkok and Pattaya, this makes accessibility and convenience unbeatable. Apart from this, this gem of hospital is nestled around nearly 7 hectares of picturesque landscaped gardens and serenity ponds. A breathtaking view especially designed to promote patients’ recovery and rehabilitation. The hospital has been accredited by the prestigious American JCI or Joint Commission International first in 2009 and was fully re-accredited in 2015. JCI accreditation is the Gold Standard you should be looking for when booking hospitals overseas. This accreditation ensures that you are receiving the best standard of patient care and world class facilities. To cater to clients who prefer to travel to Bangkok for surgery, Plastic Surgery Phuket have arranged for our surgeons to perform cosmetic surgeries in Samitivej. Our expert surgeons will join forces with Samitivej’s highly trained medical staff, specialized physicians and nurses. This provides unrivaled convenience for our clients without compromising the world-class results that Plastic Surgery Phuket is renowned for. Who are the surgeons to perform the surgery at Samitivej Srinakarin? The first set of surgeons who are to perform surgeries in Bangkok are your favorites surgeons in Phuket. 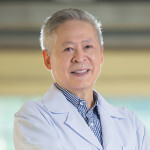 Dr. Witoon is an icon in the field of Plastic Surgery in Thailand. With at least 3 decades of experience, he is a surgeon you do not wanna miss. He is a professor since 1971 and still mentoring a lot of aspiring cosmetic and reconstructive surgeons up to date. Very charming and gracious in person, he is well loved by his clients from all over the world and one of our most requested surgeon by far. There is no limit on what procedures Dr. Witoon can perform. He is an expert in Breast Augmentation, Breast Reduction-Lift, Face lifts, Eyelid surgeries, and the list can go on. One word to describe Dr. Veerawat: meticulous. His impressive attention to details and precision is next to none. When talking about result, he is known to favor natural outcome and lean towards Teardrop shaped implants most times. Apart from Breast Augmentation, Dr. Veerawat is also an expert in body contouring, facial procedures, and Breast Lift-Reduction. You can find out more about him through experiences of his past clients here https://www.facebook.com/groups/344665862401376/ . It is an understatement to say that Dr. Veerawat is a popular surgeon. As one of our most sought after plastic surgeon, his appointments are filled up months in advance. We encourage you to make your decision now and secure that coveted slot. 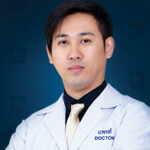 If you are looking for a surgeon who is multi-talented, then you have to add Dr Pongsatorn “Dr Jib” on your short list. He is both a cosmetic and reconstructive surgeon who loves to perform breast enlargement, face enhancement, and body contouring procedures. 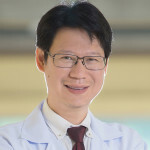 He has successfully performed more than 8,000 cases of different types of plastic surgery procedures to both locals and international clients. He is available for surgery every Monday to Thursday. However, make sure to book your surgery with Dr Jib in advance as he gets fully booked quickly. He is a favorite among Australian clients and well praised for his superb bedside manners and gentle demeanor. 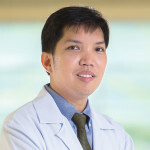 Dr. Parinya honed his skills and experience as Dr. Witoon’s prodigy. He frequents international trainings and seminars to enrich his expertise in various cosmetic procedures especially facial enhancement. His distinct accuracy in surgery reflects in the life-changing results his past clients have enjoyed. Do not let his fresh face and age underestimate his abilities. This up-and-coming surgeon is making his mark in Thailand’s Plastic Surgery scene. Book with Dr. Parinya now and experience second-to-none perfection.